The UK government have announced plans to scrap any planned future rises in the duty on petrol. 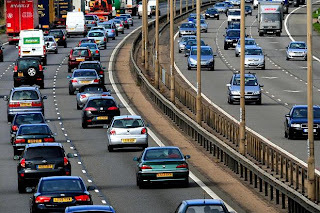 Earlier this week the UK Prime Minister David Cameron has drawn up plans in an attempt to help motorists with the ever increasing cost of motoring through the implementation of suggested tax breaks for fuel efficient cars and a further scrapping of future rises in fuel duty. The plan suggested by David Cameron proposes that the coalition government will scrap any further fuel duty increases for the length of the current parliament. Such means that there could potentially be a freeze on fuel duty until 2015. All of this will come as positive news for cash strapped motorists and businesses who are already struggling to keep up with the ever increasing costs at the pumps, however such announcement doesn’t hide the fact that there are still continued price rises on the international oil market. Furthermore, Cameron admits that the proposed ‘scrapping’ of future fuel duty increases is ultimately dependent upon the wholesale price of oil remaining at its current market high. David Cameron also suggests that more must be done to encourage motorists to switch to electric vehicles, “We’ve still got to do more to encourage really fuel efficient cars, we’ve got to make sure the new generation of electric, hybrid cars comes through”. It is no secret that in an ideal world many motorists would jump at the chance of having a brand new eco-friendly car; however questions begin to arise when one considers how the average motorist is expected to afford a new car in the region of £20,000. Cameron was quick to answer these worries and questions by stating that he is keen to introduce incentives to encourage motorists to switch to electric cars; however we are still waiting to hear what extra incentives he may offer to encourage more green motoring. Rumours suggest that this could involve making the vehicles cheaper than their traditional counterparts but until this is officially confirmed we can merely speculate. Although many sceptics believe these announcements to be good in theory there are still dozens of questions left to be answered before more motorists ‘buy’ into a future of green motoring. For motorists and businesses that are unconvinced by the coalition’s plans there are plenty of internal changes that can be made in an attempt to reduce the deficit of fuel. The use of fuel cards such as the UKFuels Texaco Card allows companies to gain tighter control of expenditure whilst reaping the rewards of fixed weekly prices across a network of filling stations. Such subtle changes are defienately cheaper than buying a new car (or an entire new fleet for that matter) and can result in fantastic savings. About the author : Chris writes on behalf of UKFuels.co.uk who has the widest selection of fuel cards at the most competitive prices within the UK.